Wayzata’s blueprint for success started when Mark Popp still was running in college at North Dakota State. Later he joined the Trojans as an assistant coach and took over the Wayzata boys’ cross-country program in 2015. After running away with last year’s state crown, Wayzata has nine state titles to its name, including six in the past 10, during which it has developed into one of the country’s top teams. This year, one of those seniors is Khalid Hussein, last year’s Class 2A state individual champion, who joins five other returning runners from a team that placed 10th at last year’s Nike national meet. With that much experience returning, the Trojans are currently the top-ranked 2A team in Minnesota. 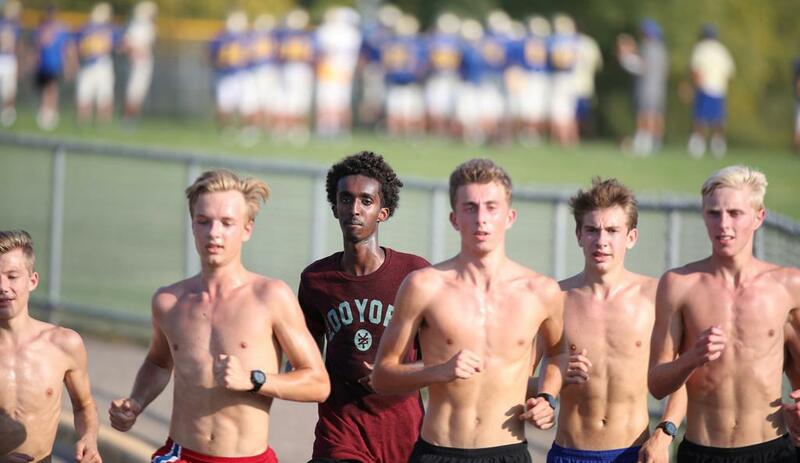 They have the state’s two top-ranked runners in Grant Price and, behind him, Hussein, nearly back to 100 percent after a slight knee injury hampered his track season. Mitchell Hollander and Blake Buysse also are ranked in the top 12. Popp said any of his top six runners could end the season among the fastest 12 in the state. That’s how Wayzata operates. By the time the senior class graduates, the younger runners are more than capable of stepping in without any drop off. Good examples are accomplished by splitting the team into smaller groups, Price said, each led by captains and members of the varsity team. That way, runners such as Hussein and Price are able to impart the finer details of the program’s success on a more personal level. For Hussein, those benchmarks were set by Jaret Carpenter and Kyle Brandt, who competed on Wayzata’s 2014 team that finished second in the country, before helping the program to a 14th-place finish as seniors in 2015. Now, Hussein is repeating many of the same messages. Popp, Hussein and Price made clear the state meet is not being overlooked, but with this much experience returning, the finish line is December’s Nike’s national meet. After last year’s 10th-place finish at Nike, Wayzata is ranked as high as second in the country by one ranking service. That’s what fuels his runners, Popp said. Even if it might appear they’re sitting comfortably atop the state, the more experienced Trojans are making sure no one starts feeling comfortable.